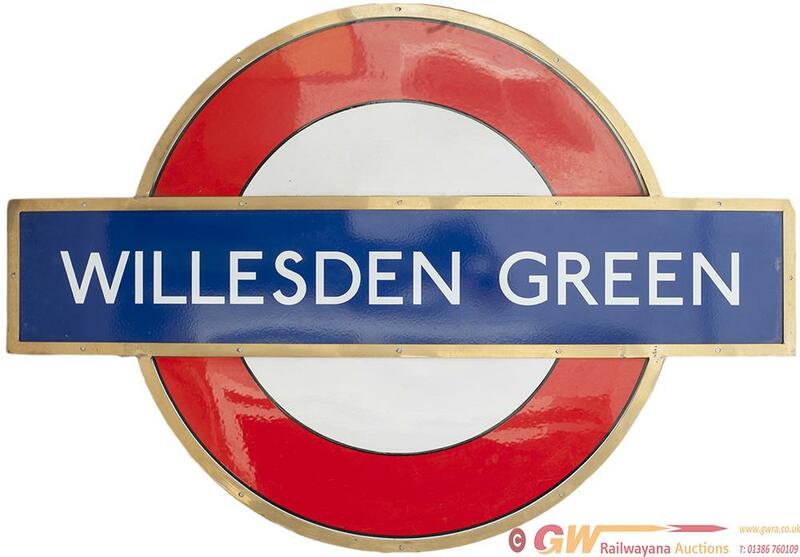 London Underground enamel target/ bullseye sign WILLESDEN GREEN with original bronze frame. Pre-war with black edge. In very good condition measures 60in x 41.5in.